March 31st is my Bestest Friend's birthday. 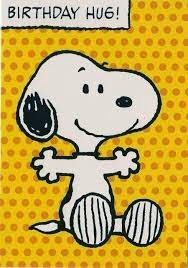 Snoopy hug means I love you. She is the most amazing person I've ever known, and I have no idea why she's allowed me to orbit her life for the last 30 years. 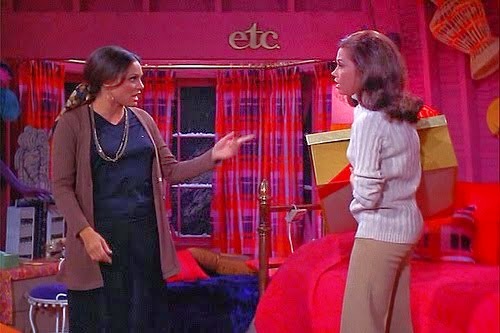 From the moment we first met in high school, she has been beautiful, independent Mary Richards and I have been crabby, insecure Rhoda Morgenstern. Not that I ever had a groovy apartment like Rhoda's. Thanks to Bestest Friend, I know the music of John Gorka and Christine Lavin. 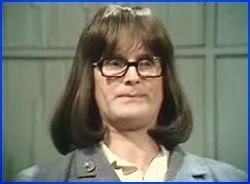 Thanks to her I met Douglas Adams. Thanks to her I got to work at a video store in the mid-1980s, perhaps the best job ever. We have laughed and cried and commiserated so many times over the years. I don't know what, if anything, she has gained from our friendship. But I have gained a better life than I ever could have had without her loving and accepting influence. She has a terrific husband and an amazing daughter. She has dedicated her career to helping others. And she's met Gloria Steinem on multiple occasions, which fills me with envy. In short, I don't know what I ever did to deserve this excellent person in my life, but I am grateful every day for her love and support. If you ever read and enjoy this blog, know that Bestest Friend is a large part of the reason I'm even here to write it. Happy Birthday, girlfriend. I love the hell out of you. Have a great birthday. And what it is, too. P.S. They've remodeled Snuffer's. Come to Dallas and we'll have burgers. Happiest of birthdays to what sounds lime a terrific bestie! And how the heck did you find my driver's license photo? I think it's time for new glasses.